In the event you are sick of hearing about essential oils, stick around, I was too. That is until I tried them myself. It seems everywhere I turn, friends, social media, hair salons, you name it - everyone is using oils. It has intrigued me as I've read stories of these "miracle oils" helping almost anything. I was curious what all the hype was about. But not curious enough to step up and pay for something that I thought might just be a fad or scheme of some sort. 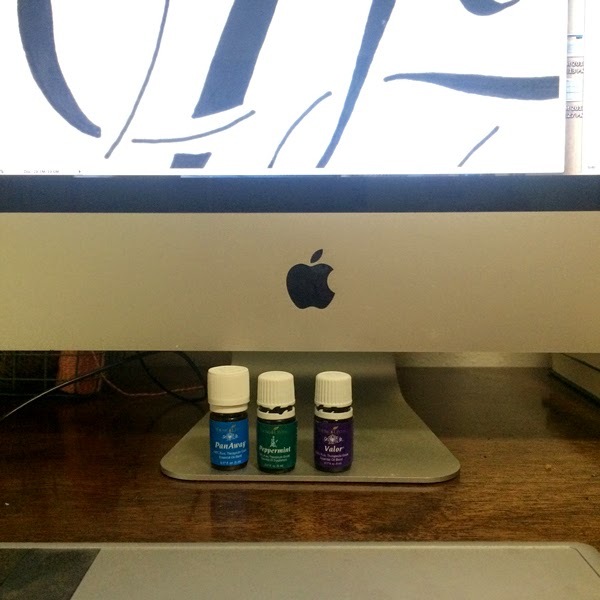 Then one day I was on intagram and I saw a message from Trish, (of daisys and dots) aka @daisysanddots, asking if a few ladies might be interested in trying some Young Living essential oils for 30 days - for FREE. I jumped at the opportunity. And while it took me a little while to know just how to use them for different things, after 30 days, I'm sold. I use them every day. And find myself suggesting various oils for different ailments to family and friends. I'm one of those people now. My kids ask for oils. Seriously. 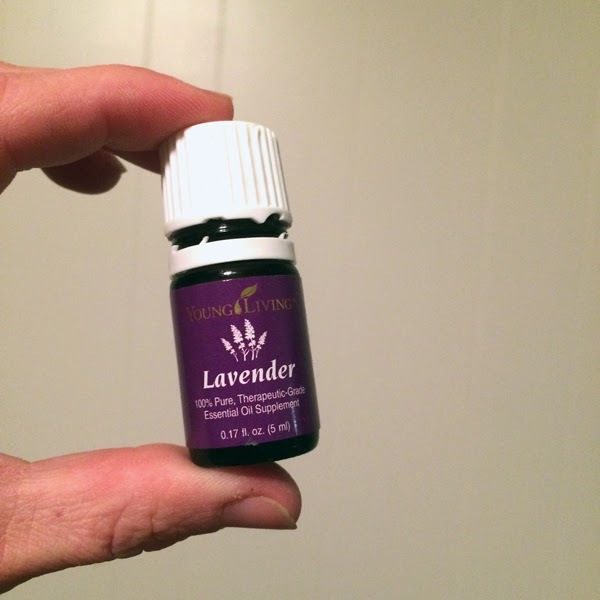 One of our top used oils this past month has been lavender. It's amazing what it does for bug bites and small burns. After spending an evening in our garden without spraying down with bug spray before heading out, my girls came in itching and complaining of bug bites. I read that lavender can help cut the itch so we all gave it a shot. A little oil rubbed on the bites and the itch stopped immediately. So great. And now having used them for a bit, I've found a blend called purification helps naturally combat bugs when applied to the skin. So we gave it a shot, a little coconut oil mixed with purification and I didn't notice a single mosquito! It was so nice knowing I was putting something natural on my kids and not some sort of chemical mist. So I was sold on those two alone. I've also become a little dependent on my diffuser. 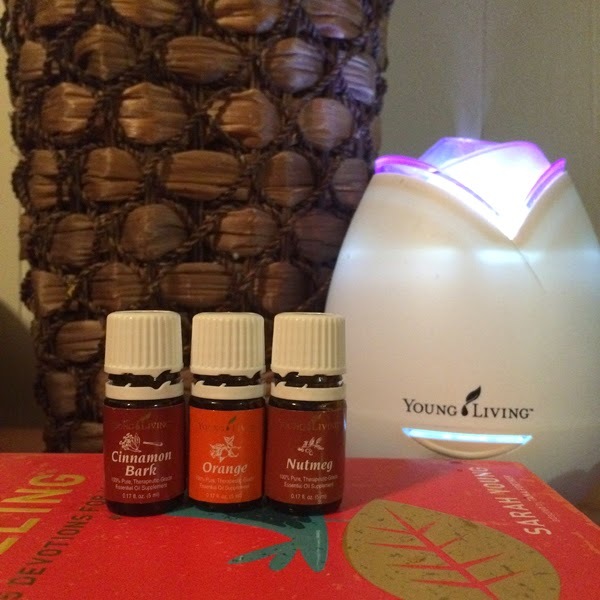 When you buy a starter kit (it's like $150 and comes with 11 oils and some other goodies) the diffuser is included. I like to diffuse an oil called theives. It has air purifying properties so I feel like we're getting the germs out while it makes the house smell nice and fallish. Also, the combination of cinnamon, orange and nutmeg makes my house smell delicious! But my top favorite oils are a trio. Most of you know I have a small business, recipe for crazy, and am often working at a computer. If I'm working on a particular project or packaging orders, I'm at it for a couple of hours and my shoulders start burning. The next day they typically ache and I can't rub the pain out. I don't like taking medicine so I just deal with it. But when I got my oil kit I tried a blend called PanAway. It works folks. I rubbed some coconut oil on my shoulders and neck and then added a couple drops of PanAway and rubbed it in. The pain wasn't near as intense that night and the next morning I didn't even feel like I'd been at the computer the night before. It was like liquid gold. I talked to Trish about it and she suggested layering the PanAway with peppermint and then valor (another blend) and that combo is my go to. I don't use it everyday, just when my shoulders and neck get tense. I've been having my husband try it on his knees and back since he has chronic back pain so I'll keep you updated. I really could go on and on about the different oils I use but I don't want to bore you. I'll save that for another day. Maybe I'll start a series or something. But then again, I don't blog regularly so I wouldn't hold your breath. So all that to say, I'm now one of those people that if I hear your complaining about something, I'll probably offer you an oil. 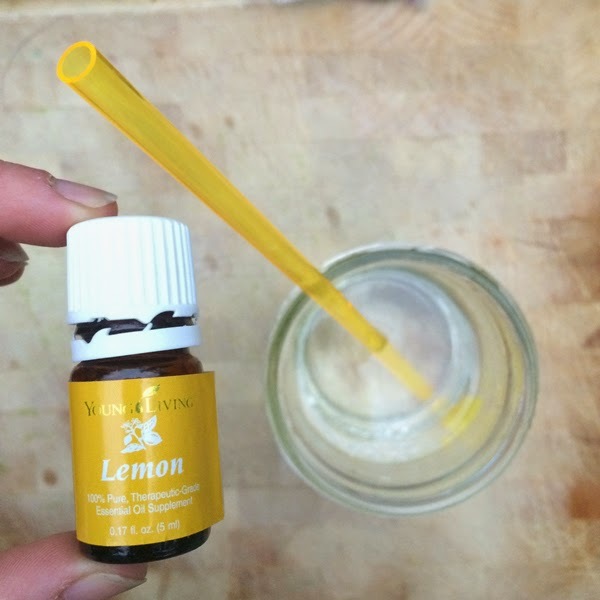 If you're interested in learning more about essential oils or have questions, shoot me an email to lesley(at)recipeforcrazy.com. Or if you are ready to jump on the oil train - you can sign up here and enter this: 2168906 for sponsor & enroller ID. I highly recommend buying the Premium Starter kit because it's the best deal, and I'm all about deals. The kit comes with a great mix of 10 best selling oils, including all the ones I talked about here, plus you get a diffuser and some other samples with a little guide on how to start using them. Make sure you click the Wholesale Member button so you get the discounted rate - no pressure to ever buy anything again - but my guess is you'll want to ;) And really, if all that sounds confusing and you have any questions about any of it, email me. Now I'm off to rub my oil cocktail on my shoulders and soak up this lovely Friday! look at you! drinking the koolaid! just kidding, i've used oils a little bit. they sure do smell great. love it! i became an oily person just a couple months ago. hard not to when they work so well. cheers!